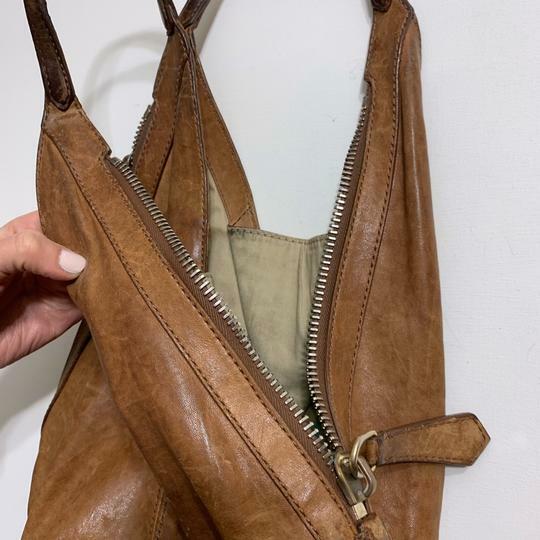 Good pre-owned condition, has been loved and worn. 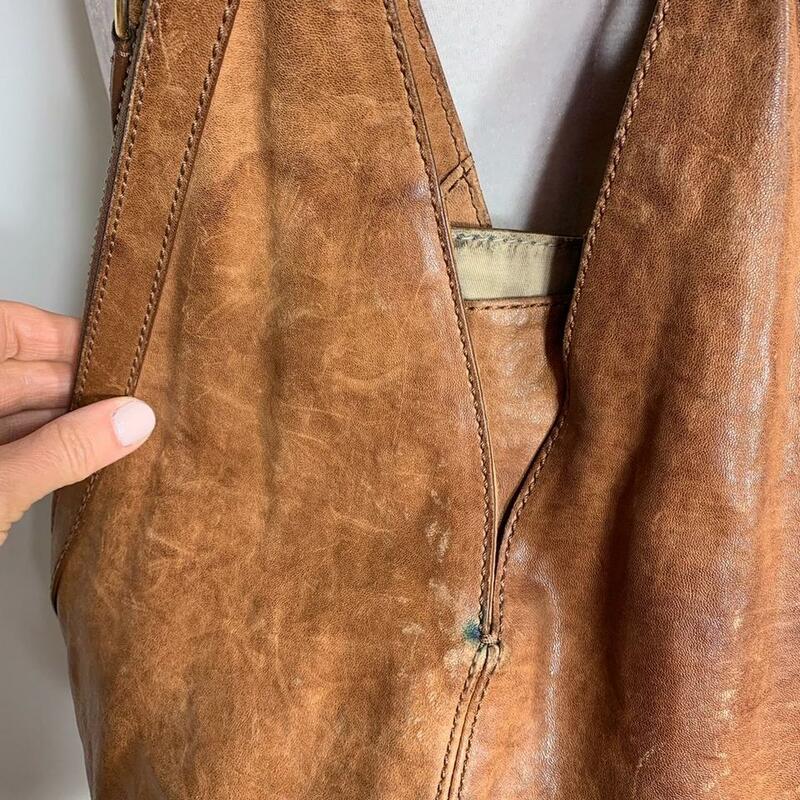 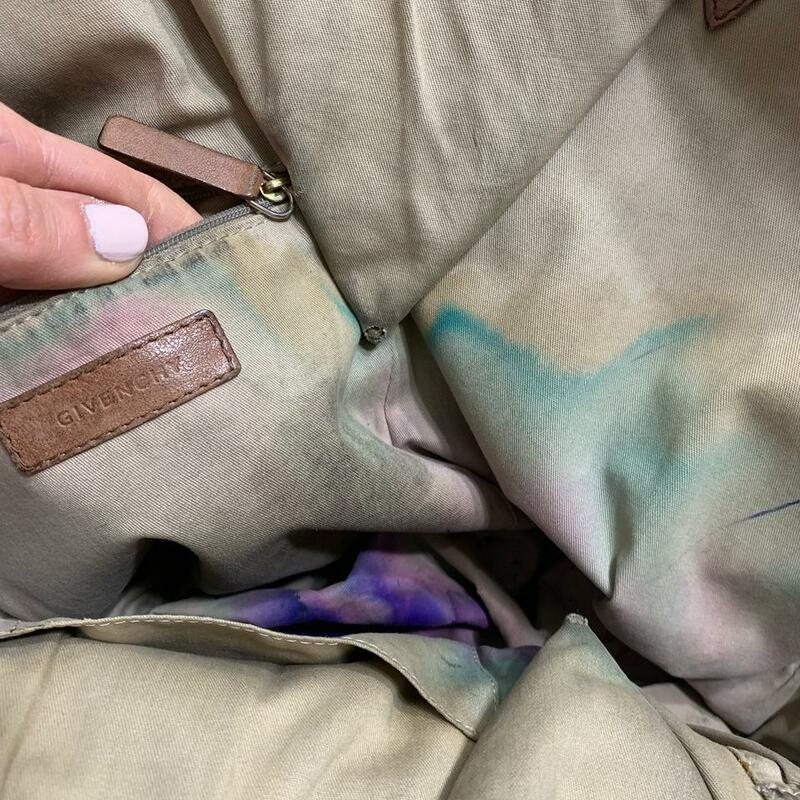 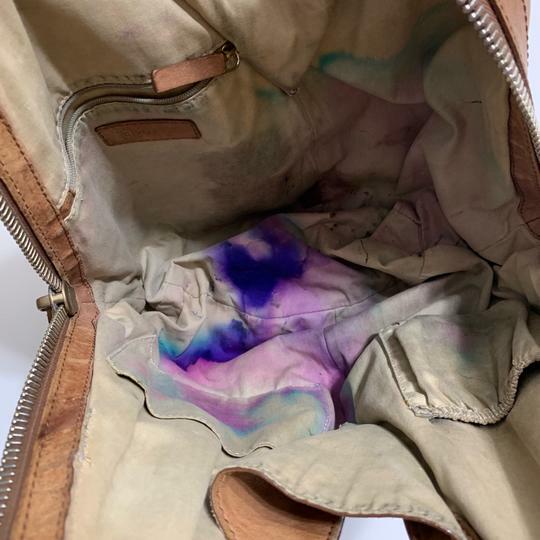 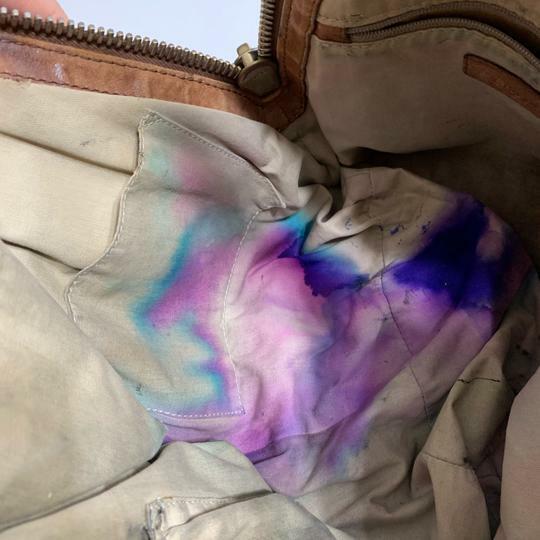 See images for all signs of wear/tear - the inner lining has an array of colorful pen markings and stains :) The outer leather is in overall good condition, there is a tiny pen stain in the corner on the front, and one on the bottom. 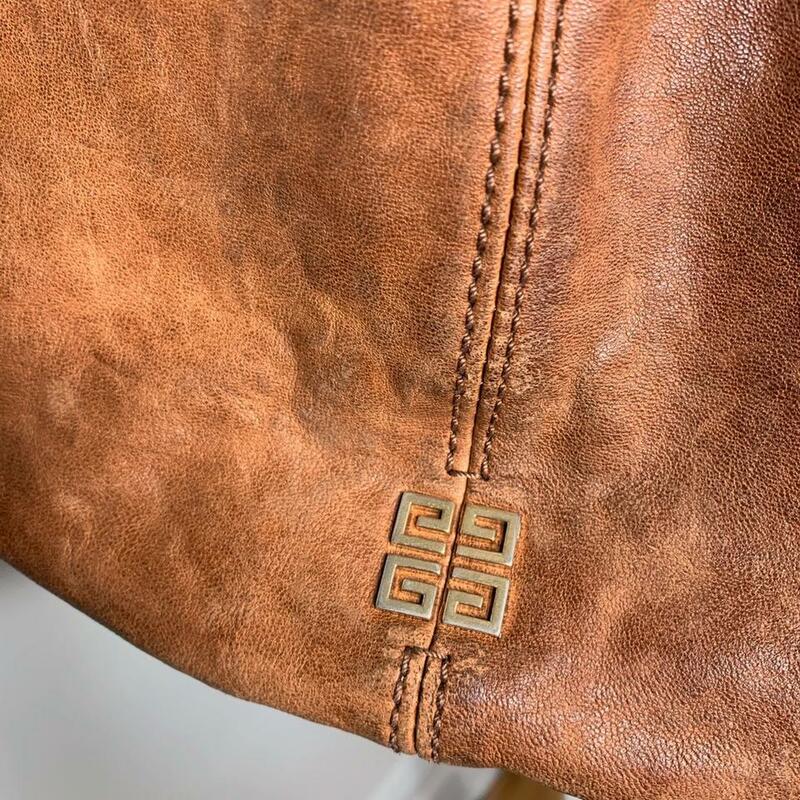 Price reflects these flaws. 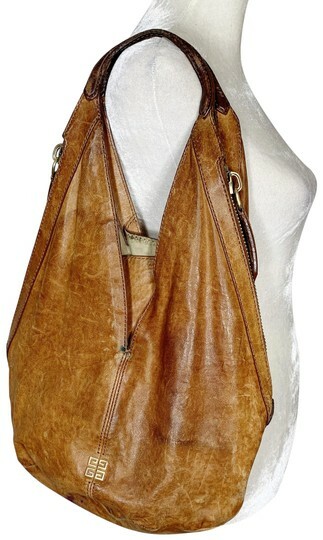 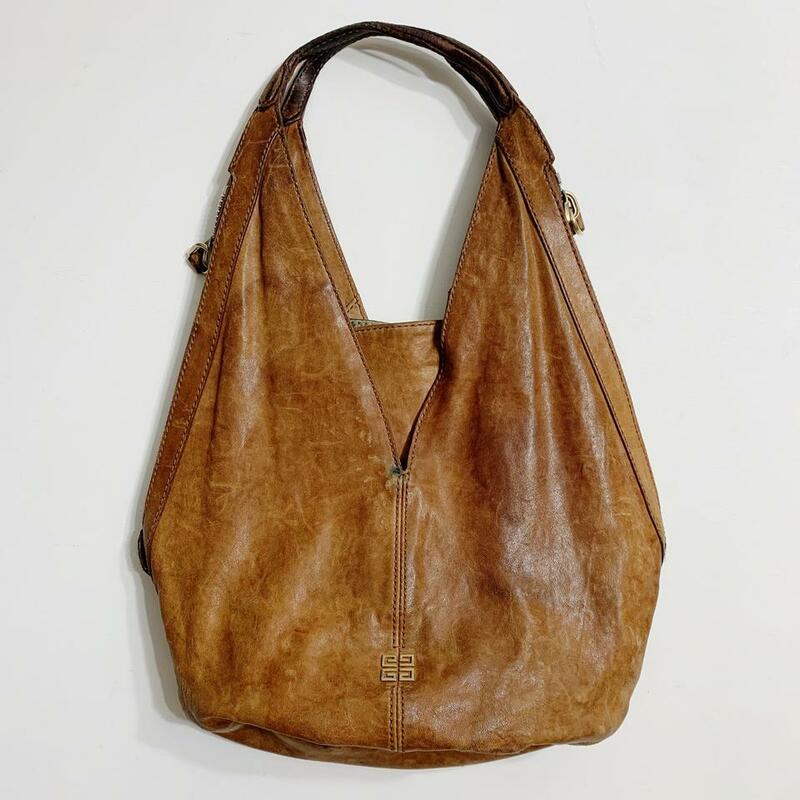 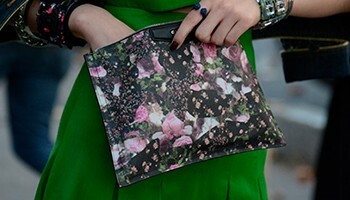 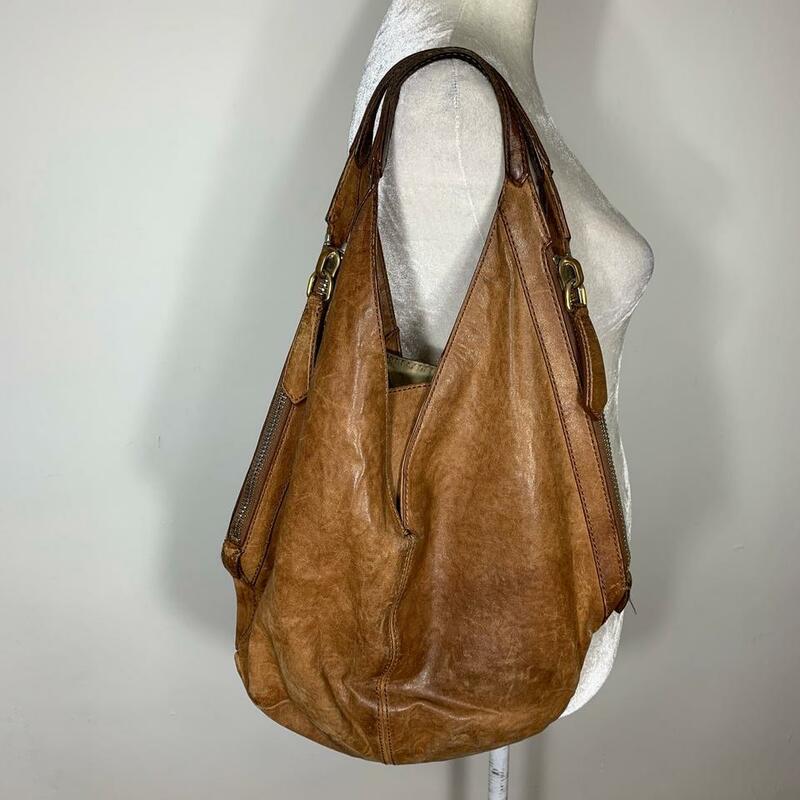 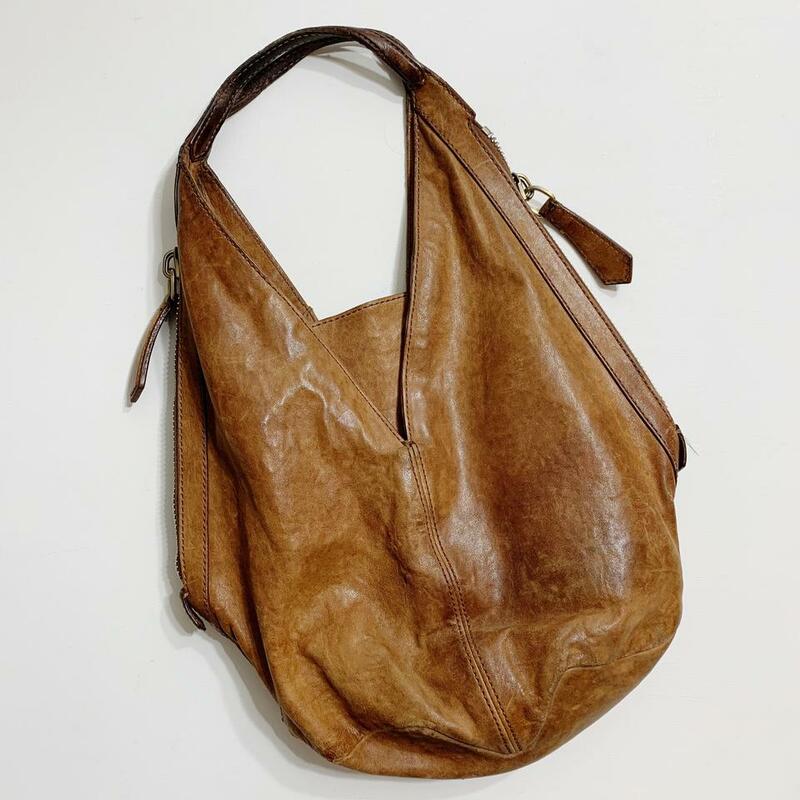 The leather is soft, zippers on each side give the purse an edge, and overall there is lots of use left at a great price!